A1 Overseas International provides FREE quotes and information on vehicle shipping to the United Kingdom when you call 1-800-450-5319 or fill out the form provided! Known for its lucrative stance in the automotive industry, the United Kingdom sets its stipulations for auto import and export slightly higher than most other countries. 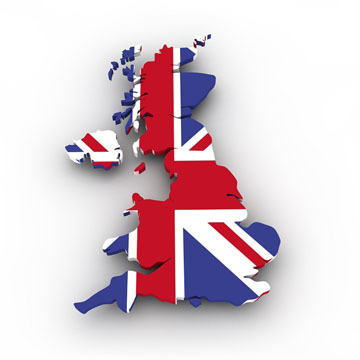 After contacting A1 Overseas International to set a date for vehicle transport to the country, contact United Kingdom Customs for an up to date list of requirements for auto transport to the country. Be prepared to pay high tariffs although the expense is hardly a deterring factor when you consider the benefits of having your own vehicle for travel while you reside overseas in foreign land. The international auto transport company will request that the vehicle is prepared in a manner that will further protect it from harm during its shipping process to the United Kingdom. These requests won’t take much of your time and can be done fairly effortlessly. There may be a few other suggestions for vehicle prep made by the auto shipping company, but usually they are all very simple to fulfill. Not only do these requirements protect the vehicle during its journey overseas, but so does the insurance coverage provided to all customers through the auto transport company. Submit the form or call today for a FREE price quote on boat, motorcycle and car shipping! Simply dial 1-800-450-5319!